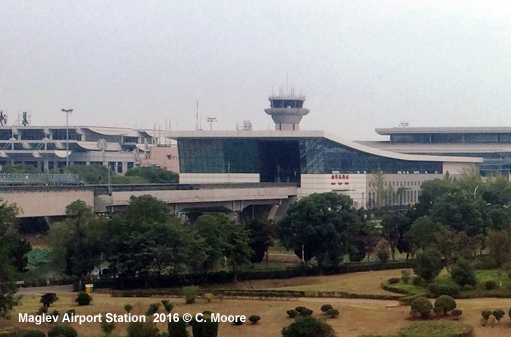 An 18.5 km maglev line started revenue service between Changsha South Railway Station and Huanghua Airport on 6 May 2016. 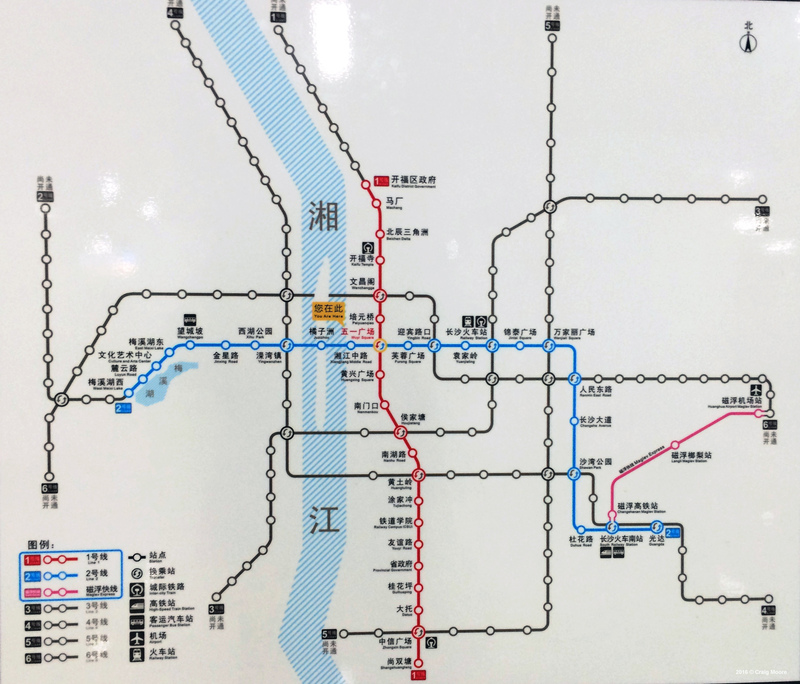 The Changsha Metro currently has 2 lines operating in a ‘cross’ formation within the city. 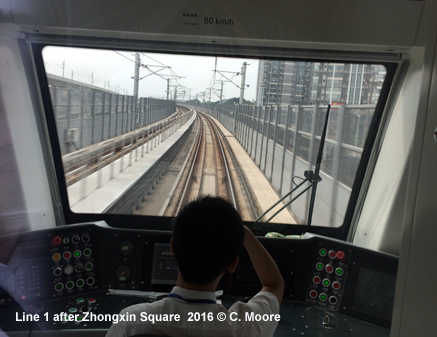 The length of the network is 50.2km (42 stations) and services operate from 0630-2300 using CSR stock, 1435 gauge and overhead power supply. 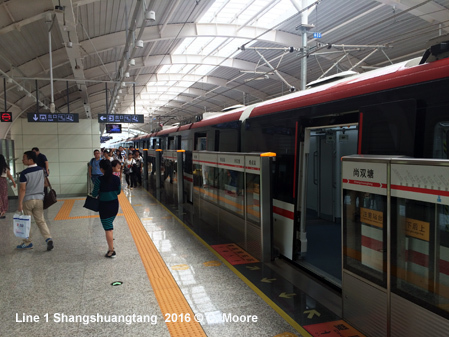 Fares are distance-based and cost between 2-6 Yuan. 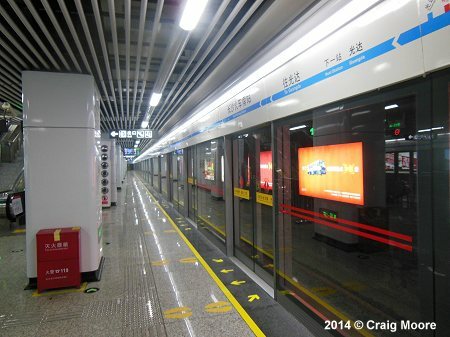 Line 1 runs mostly underground with the exception of a short 1.2km elevated section after Zhongxin Square to the southern terminal at Shangshuangtang, with the portal immediately to the south of Zhongxin Sq station. 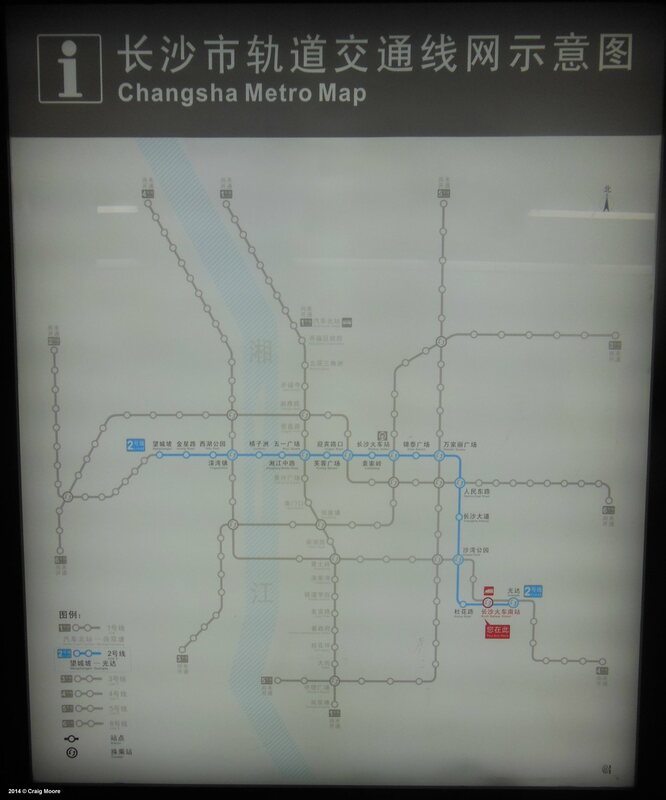 Changsha Metro have chosen function over form - despite the line's newness (opened 2016), it has not embraced the new found design liberties that other systems have and is very much of the standard Chinese model with island platforms (Shangshuangtang, Wiyu Sq and Zhongxin Square have side platforms), full platform screens (half screens at the elevated Shangshuangtang station), next-train information and audio and electronic notifications in English and Mandarin. 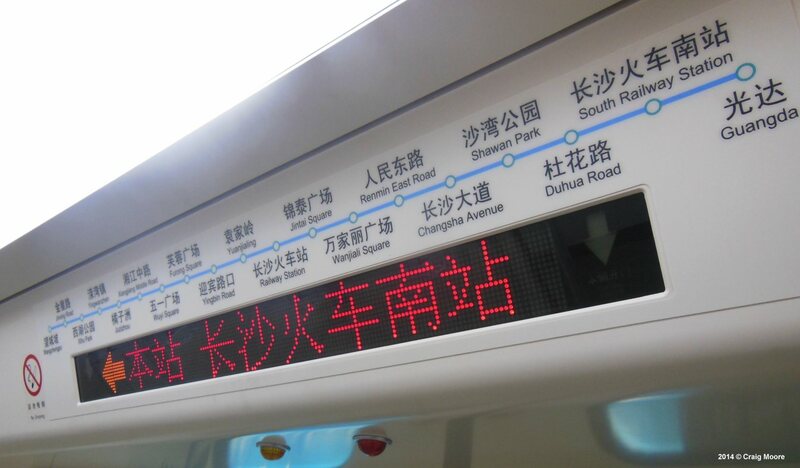 The line operates 6min headways at peak times and 8min frequencies during the day and evenings. It takes 41mins to travel the entire route. 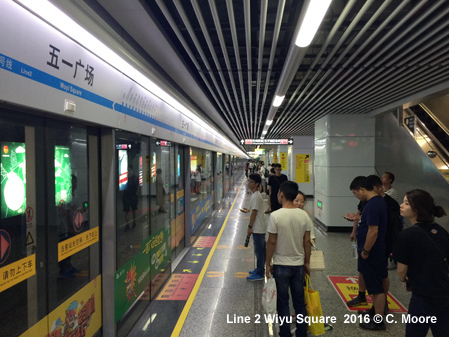 Line 2 is the original line and runs from west to east, with interchange to Line 1 at the large Wiyu Square station in the heart of the city. 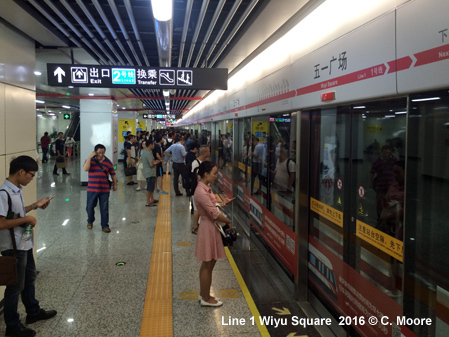 This line has the same station structures as Line 1 but is much more busy and has 5 min base headways (3mins peak periods). It takes 49mins to travel the entire route - this is quite a slow line and the ATO adds to unnecessary dwell times at stations. 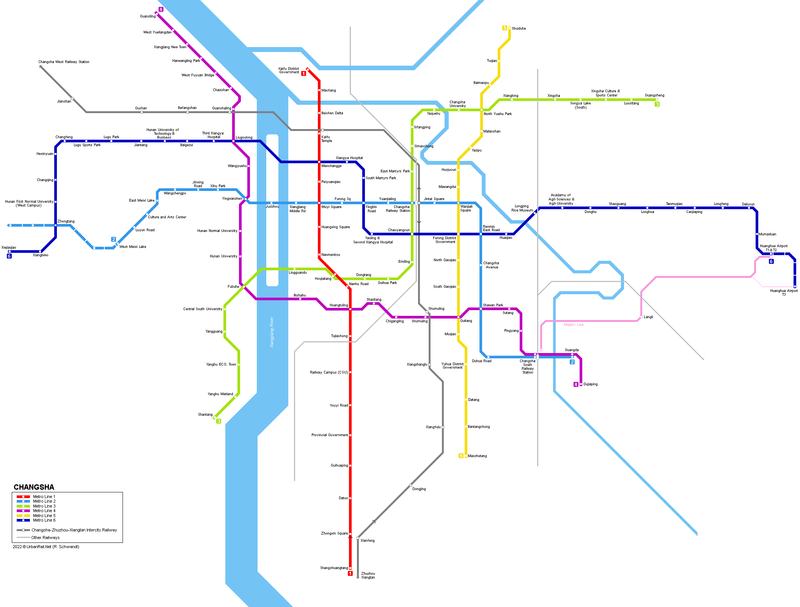 This is a simple Metro system structure with only one interchange and this may account for the lack of route information available. A poor schematic map is located at the end of platforms, there are no maps on the train (except the above door strip map) and no hard-copy information is available. 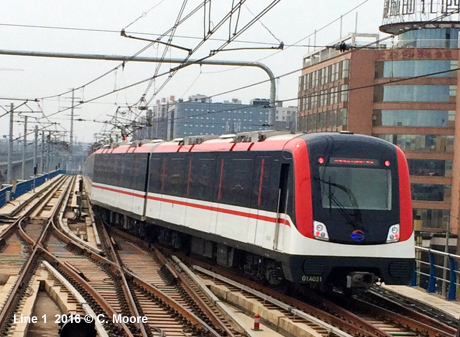 The system can be described as smart, if lacking character....and the disappointment continues with the Maglev, which has transfer to the Metro at Changsha South Railway Station (Changsha'nan). 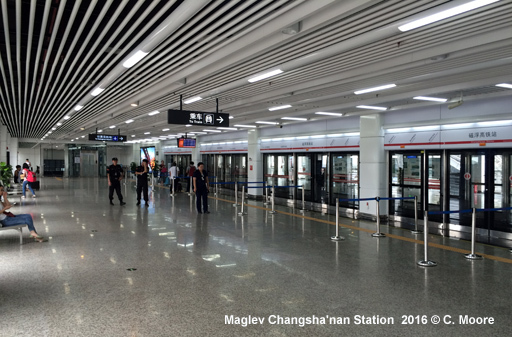 The Maglev is operated by GRG and is not part of the Metro system, attracting a hefty ticket fee of 20 Yuan. 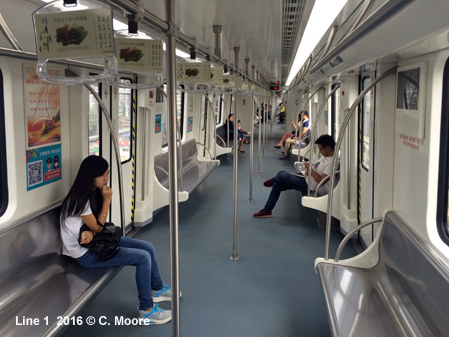 It is the first such line designed and built by Chinese companies for which they are rightly proud. However, if this line is designed to showcase such a system for sales purposes, I'm not sure the order books will be too full. Firstly, transfer is lengthy. Exiting the Metro at South Station you enter the middle of the cavernous CRH station lobby where small signs directing passengers to the Maglev are infrequent and difficult to spot amongst other signage. 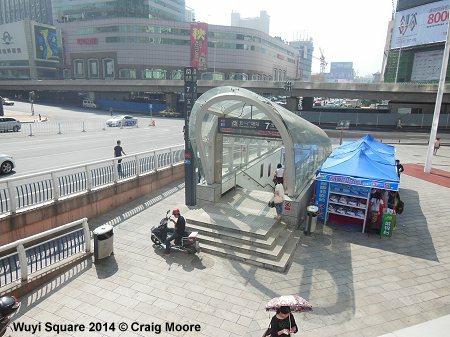 The station is located at the eastern side of the station and is accessed via long escalators to the entrance level (where tokens are purchased). Transfer at the Airport is equally lengthy with approx. 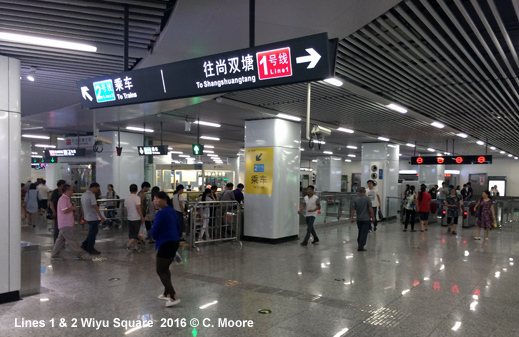 500m between the Maglev station and the departure hall. 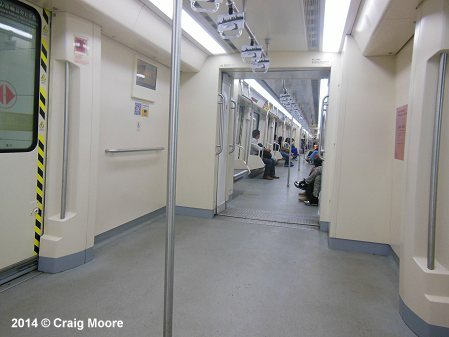 The service uses three-car sets and so the platforms are quite small. 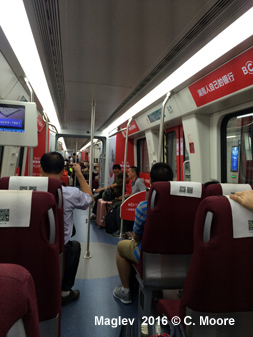 The stock is smart but has paired seating and very little luggage space and so the trains are quite cramped. The Maglev is only designed for medium-low speed and averages 53kph and it runs very slowly on corners and is quite ‘juddery’. 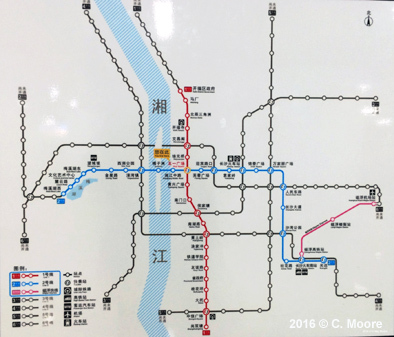 The headway is 16mins and the journey takes 21mins – this means there are no clock-face departures, yet the train waits for 5mins at each terminus station – surely a slightly shorter turn around and 15min headways would be more memorable. A little thing, yes, but it all adds to the disappointment.